Located just 25 miles east of Atlanta, Conyers is the only city in Rockdale County and home to over 15,000 residents. Before the arrival of European settlers, Conyers was occupied by “Mound-Building” Native Americans. By 1854, the city was incorporated and home to a string of thriving businesses, good schools and a large carriage manufacturer. 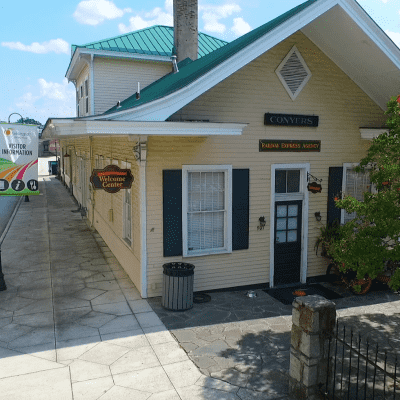 Stroll through Conyers' Historic Olde Town and enjoy the quaint boutiques and eateries, as well as festivals, parades and other special events.